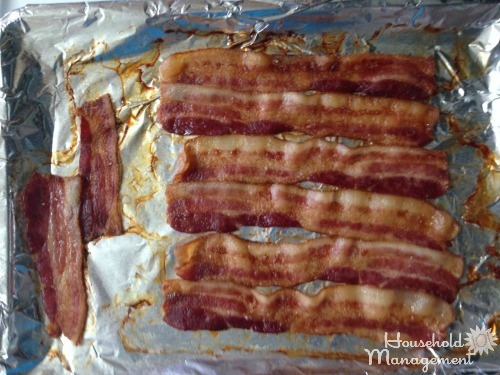 Here's simple step by step instructions for how to cook bacon in the oven. It tastes great and it's so easy! I know when you think of cooking bacon you imagine a frying pan or iron skillet, the individual slices of bacon splattering and hissing as you watch them carefully to get the doneness just perfect. But while that works (and pretty darn well) when you want to cook a slice or two of bacon for yourself there are times when that just isn't feasible. For example, if you've got a large family, a recipe that calls for a lot of bacon, or just feel like really chowing down on this yummy meat this more traditional cooking method takes quite a lot of time and attention. Plus, hot bacon grease splatters, ouch! On the other hand, when you cook bacon in the oven it is a quite simple process. You don't have to babysit each strip, but can cook the whole package quickly and simultaneously be able to give attention to other parts of the meal while the bacon happily bakes in the oven. Plus no hot grease splattering! Does This Cooking Method Make The Bacon Taste Different? First, it is hard to go wrong with bacon. I mean, really, bacon, mmmmmmmmmm, so this method is completely awesome since it tastes just as good. But seriously, two of my kids actually like this method for cooking bacon better, and the third, well, she's just weird. Ha, I joke. Really, the story in our house is that we're actually a house divided, and of all things, it is about bacon. We have a rigourous bacon texture debate each time we eat this meat -- crispy versus chewy. Point is, when I cook the bacon in the oven I cook it the way I like it (and hey, since two of the kids like it this way too that is the majority opinion in the home!) And that's why my oldest is not as big of a fan of this method. But, shhh, don't tell her you can actually make bacon whatever texture you want with this method, crispy to more chewy. I'll give instructions below with some tweaks to make it crispier if that's the way you enjoy it. Step 1. 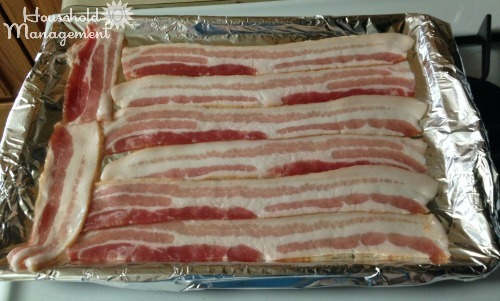 Start with your favorite bacon, and set oven to 350° F.
Step 2: Get a lipped baking sheet and line it with foil. The aluminum foil just makes clean up a breeze, and a lipped baking sheet is a necessity to collect the grease or you'll make a huge mess in your oven from dripping bacon grease. Step 3: Lay the bacon slices out side by side on the baking sheet, keeping them close to fit as many slices on the sheet as possible, but without them actually overlapping. If the strips overlap they will stick together and not cook as well. Step 4: Place your bacon in your preheated oven and let it cook. How long you ask? Approximately 20 minutes, but since the length of time changes the texture that's why I'm a bit waffly on the time. After 20 minutes check your bacon about every 2 minutes to determine it's doneness, so you can take it out when it is the way you like it. Remember that if you like thick cut bacon you'll need to allow more cooking time than if you like it thinner sliced. While it's in the oven there is no need to flip it, or otherwise mess with it. Just let it cook. Simple! Step 5: Take the bacon out of the oven, drain the fat and pat with paper towel to absorb a bit more grease from the bacon. Serve immediately. If you'd like your bacon crispier first, allow it to cook longer. But in addition, here are some additional tricks you can use to still use this method and enjoy the crispier texture. 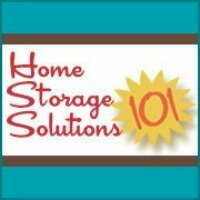 Experiment with higher heat for your oven, such as 400° F, instead of the lower 350° F.
In addition, you can drain some of the grease during the cooking process instead of waiting until the end. 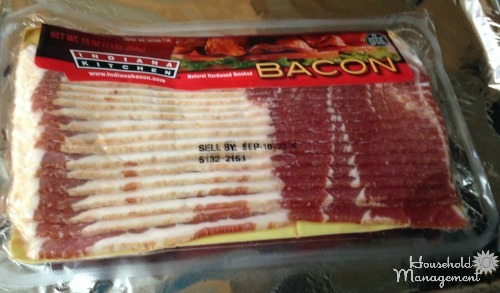 Finally, you can set the raw bacon onto a metal cooling rack and place those racks over the foil lined baking sheet, and cook that way. This allows cooking and air circulation on all sides and helps with crispiness. 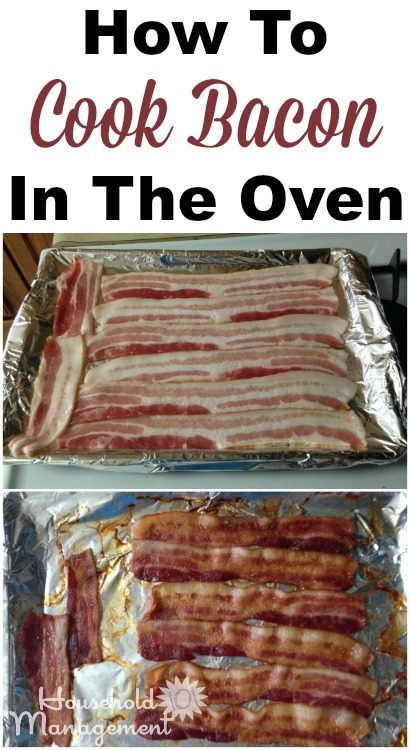 Have you used this method for cooking bacon before? I'd love to hear your experience with it in the comments below. 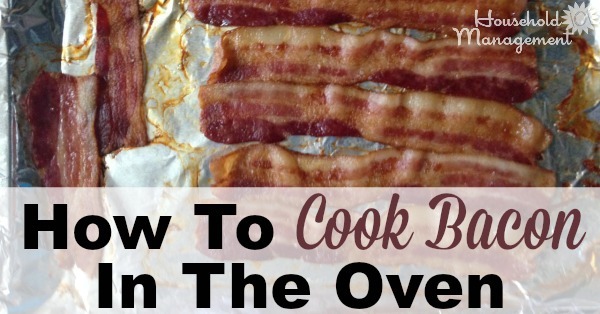 I'll tell you, this method for cooking bacon in the oven has really made me much more eager to cook up a package of bacon since it is sooooo much easier!